V.J. Kalkman. Key to the dragonflies of Turkey, including species known from Greece, Bulgaria, Lebanon, Syria, the Trans-Caucasus and Iran. V.J. Kalkman & G.J. van Pelt. The distribution and flight period of the dragonflies of Turkey. V.J. Kalkman & G.J. van Pelt. 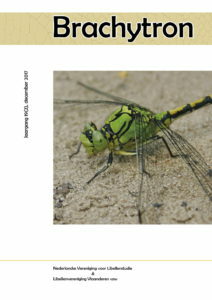 New records of rare or uncommon dragonflies in Turkey (Odonata).